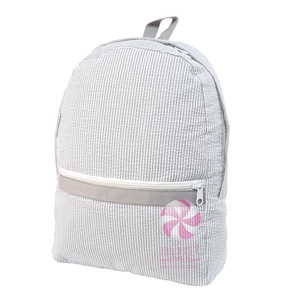 This adorable backpack is a staple for your little one. It's great for pre-school, a diaper bag or an overnight bag. Machine washable in cold water. Matching lunch box and duffel bag also available! Measures: 11.5" x 15"